The boundaries of the Minervois property region in the Languedoc-Roussillon is rather fluid, stretching as it does across the Aude and Herault departments. Roughly speaking it is the area to the east and north of Carcassonne, between the Black Mountains and the River Aude. 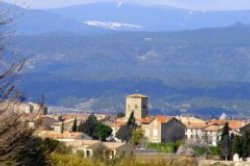 You know you’re in the Minervois, because many of the towns and villages, including its ‘capital’ Minerve, have derivations of the word Minervois in their name. 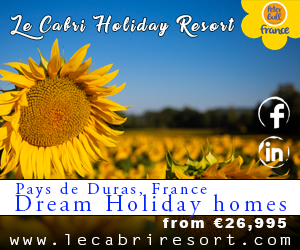 Most conveniently, the Minervois lies just north of the A61 motorway which connects Toulouse to Narbonne via Carcassonne, and joins onto the A9 motorway which connects north to Beziers and Montpellier and south to Perpignan and Spain. But whilst the landscape is dominated by vines, they are not the region’s sole distinction. Running along the south edge of the region, close to the River Aude, is the UNESCO World Heritage site of the Canal du Midi – the remarkable piece of engineering which links the Atlantic Ocean to the Mediterranean Sea. 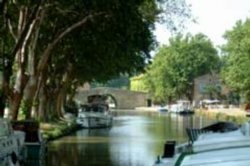 The peaceful waters of the Canal, resplendent with tree-lined towpaths, snake their way past picturesque villages with mysterious-sounding medieval names such as Puicheric, Castelnau-d’Aude, Homps and Le Somail. 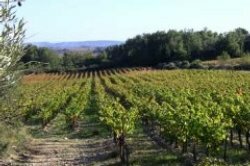 The climate here in the plain of the River Aude as it reaches the sea is most influenced by the Mediterranean: temperatures are warmer than other areas of the Minervois. 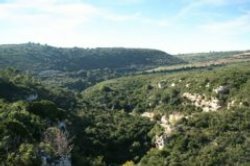 To the north-east of this section of the Canal, where the Minervois heads into the Herault department, the landscapes changes dramatically as one climbs up towards the high plateau of the Massif Central. This is the limestone and chalk region known as the Causses where high rocky outcrops are encircled by deep river gorges and villages seem to perch precariously over ravines. This is where you will find the medieval village of Minerve, classified as one of France’s most beautiful villages, located on what seems at first to be an island of cliffs above deep gorges formed by the Cesse and Brian rivers. In parts, the atmospheric narrow streets of Minerve seem unchanged, still bearing witness to her Cathar martyrs. During the Albigensian Crusade in 1210 Simon de Montfort and his army circled Minerve and demanded the surrender of the Cathars. Following their refusal catapults were used to bombard the village. The siege lasted seven weeks before water ran out and the Cathars were forced to surrender; many of them were subsequently burnt at the stake. To the west of the Minervois, between the hills leading up towards the Black Mountains, quiet villages and small towns nestles amongst the vineyards – each of them offering little gems of historic or geological note, such as the neolithic dolmens at Pepieux, the benedictine abbey at Caunes-Minervois, the impressive stalagmites and stalactites in the caves at Cabrespine and Limousis. This are is sometimes referred to as “little Tuscany” and on a bright summer’s day it’s not hard to see the connection in the charming stone buildings, the vines and olive groves, and easy-going pace of life. For all the above reasons, the wine, the climate, the beauty and the peacefulness, the Minervois is an area that ticks a lot of boxes when looking for an ideal property in the south of France. The villages, benefiting from being within the commuter zone to Carcassonne and Narbonne, are often well-served with local shops, schools and services. There is a strong tourist industry here, and several investors have opened excellent quality hotels, guest-houses and restaurants. Clearly, with all these positive attributes, property prices may be a little more expensive than more remote parts of the region. It is also worth pointing out that, as much of the land was given over to agriculture, medieval villages weren’t built with gardens in mind! There are plenty of houses that have gardens – but you may have to pay a premium for them. Roughly speaking, you can find properties in need of serious renovation for below €80,000. If doing major building work is not how you want to spend your summer holiday, then you should budget between €125,000 and €150,000 for a three bedroom property in good condition (possibly with a terrace). Larger properties with gardens or courtyards can be found for €250,000 and above. Because of its winemaking history, this area is also particularly good for very large prestige properties: expect to pay upwards of €500,000 for an elegant, fully renovated, four bedroom maison de vignerons with gardens and swimming pool, and over €700,000 for fully renovated, large-scale farmhouses with gite complexes, gardens and swimming pool. 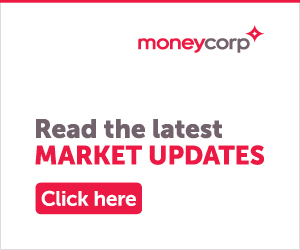 In terms of investment, you are likely to see good rental returns with 3 bedroom homes let out during the high season fetching between €600 – €900 a week. 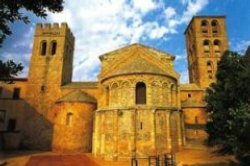 The region has a good record of promoting its tourist industry, and the area’s proximity to Carcassonne airport is an obvious advantage. This is also a very popular commuting area, and good quality long-term rentals are in high demand. 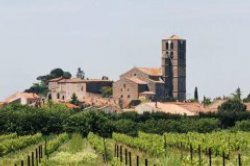 So, all in all, it is easy to see why property experts here say that the Minervois will continue to be a popular area for both foreign and French buyers for years to come.